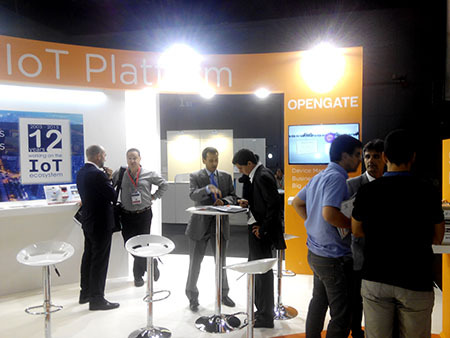 Last week we were exhibiting our IoT platform OpenGate at IoT Solutions World Congress in Barcelona. 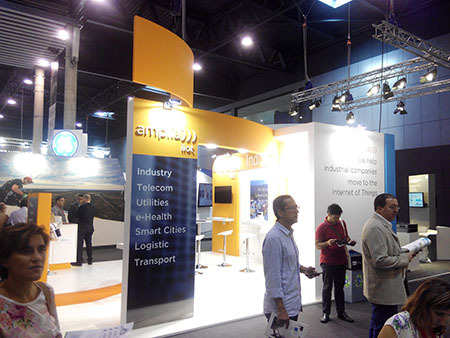 This congress it was a challenge to offer all of the attendees our Industrial IoT platform, meet some clients and change ideas with some experts, others exhibitors and members of IIConsortium, an association we belong since may 2015. We are grateful for all people who visited our boost 307 for these days. Thank you for your time and for the excellent feedback! Our experts Rafael Morillo, Javier Martínez, Carlos Prados, Jesús Marín and Lourdes Martínez explained the features of the new version OpenGate that It is easy to use and integrate with your system, highly scalable for large enviroments, compatible with multi vendor protocols and powerful filter to manage large amount of entities. We have taken some ideas about what the market requieres, an Open source IoT platform more than at your site and many manufacturers to integrate our IoT platform as value for their services.A big thank you to our employees and strategic partners such us Neuronalia, Adevice, UST Global and Serenno for working really hard and being with us at the first edition. You are part of our success! And the winner of an Ipad Mini is Christos Verikoukis. Congratulations! Thank for all the people who participated in this raffle! 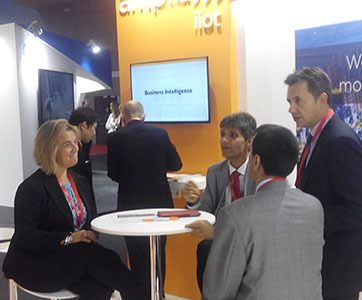 The second edition of IoT Solutions World Congress will be held on 25-27 October 2016. Hope to see you there one edition more!